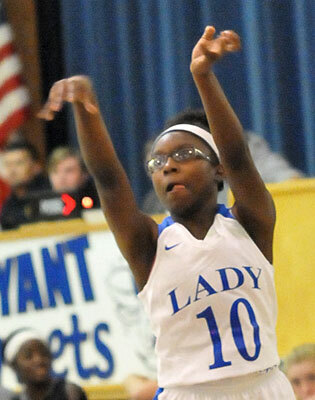 The Bryant Lady Hornets freshman team will play for the championship of the annual Bryant Invitational Tournament after they got past the rival Benton Lady Panthers on Tuesday, 30-7 at Bryant Middle School gym. 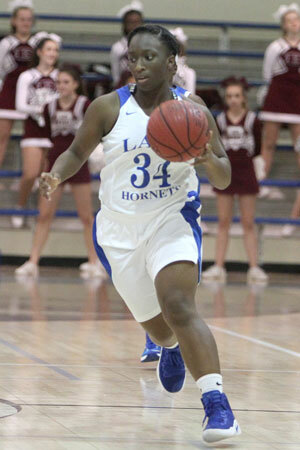 The Lady Hornets will take on Hot Springs Lakeside, which edged its rival Hot Springs in the other semifinal, 32-26. The title contest will be at 6:05 p.m., at the BMS gym. It’s an indication of just how high the expectations are for this group of Lady Hornets that winning 30-7 was seen as a something less than past performances. But Benton, which won its opening game in the tournament, 18-10, plays a methodical style, packing in a zone on defense and working the ball on offense. 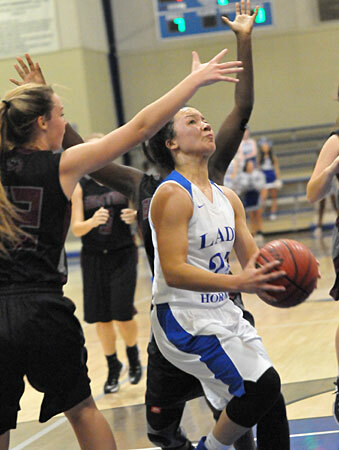 Still, the Lady Panthers obviously struggled to score against Bryant’s active half-court defense. “They’re well coached,” Castaldi mentioned. “We talked about that before the game. They’re going to slow the game down. They’re going to pack that zone in. “They really did a good job against our post players, making it hard for them,” he noted. “Even when they could get open, they were surrounded by two or three people. The way they make us play, it’s a struggle. 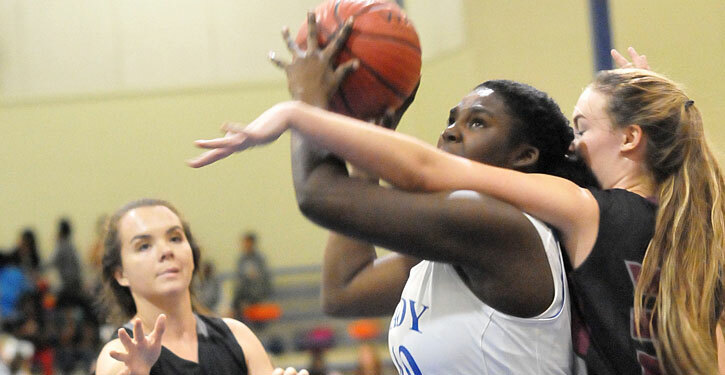 Lexi Taylor, on her way to game-high 7 points, hit a 3 for Bryant. 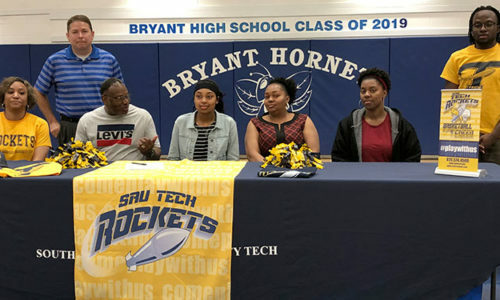 Point guard Tierra Trotter knocked down a triple and hit a free throw for the Lady Hornets’ only points of the third quarter. Maddie Scifres hit a 3 in the fourth. Ivory Russ, the team’s top scorer over the first two games, was limited to 4 points in the first quarter. McKenzie Muse, who also plays mostly in the post, managed just 2 against the smothering Benton defense. Still, the Lady Hornets built a 9-1 lead by the end of the first quarter. Along with Taylor’s 3 and Russ’ two buckets, Tyianna Robinson converted a pair of free throws. Benton’s best scoring quarter was the second with 3 points but Bryant led 16-4 at the half. 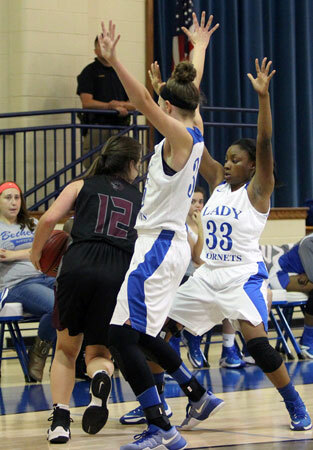 Muse had the only field goal of the second quarter but the Lady Hornets forced Benton to foul. Celena Martin, Mekeycia Baker, Taylor and Robinson hit free throws. On the strength of Tierra Trotter’s 4 points and defense that stymied the Lady Panthers, the Bryant lead was 20-5 going into the fourth quarter. Scifres hit her 3, Sierra Trotter and Taylor had baskets down the stretch. Jada Deaton and Sierre Trotter added free throws. Benton’s only points of the quarter came with 4:51 left to play cutting Bryant’s lead to 25-7. Castaldi was pleased that his team was challenged.